Take your first steps towards a lifetime journey of successful juicing. Learn how to juice, what to juice and when to juice, along with loads of tips from expert Sara Ding. This page will introduce you to fresh fruit and vegetable juicing—how to juice, what to juice, when to juice, along with loads of expert tips from juicing expert, Sara Ding. Once you have mastered the basics outlined in this beginner’s guide to juicing, you will be ready for more advanced techniques such as juice fasting and juicing by ailments. Juicing is the process of extracting juice from fruit, vegetables or tubers. The juice can be extracted using any one of a growing number of juicing machines including hand juicers, masticating juicers, twin juicers, hydraulic press juicers or centrifugal juicers. The resultant nutrient-rich liquid is usually consumed immediately after juicing to maximize the health benefits. Although fresh juice contains the same nutrients as the original fruit and vegetables, the juicing process removes fibers making the juice more concentrated, and so easier to digest and easier to absorb into the bloodstream. Consequently juicing is a more effective way to absorb high concentrations of nutrients (vitamins, minerals and enzymes) from fruit and vegetables into the body. Why Do We Juice Instead Of Eating The Whole Fruit? Juicing allows for quicker digestion and an improved rate of absorption of nutrients into the body. Juicing leads to better detoxification and improved health. The increased absorption of nutrients will have two general effects on the body: more nutrients will get to your cells and tissues, and the body will be better able to detoxify. The list of potential knock-on benefits to your health is endless and can range from better hair skin to clearing up of long term illness. Juicing gives your stomach and intestines a rest as it removes hard to digest fibers. Fruit and vegetables can be combined to make super juices whereby one component compliments the other. In this way, juices can be created with the ideal nutrient combinations for treating specific ailments. Find out about juicing by ailment. By using strong flavors such as orange or lemon to disguise the taste of other ingredients, juicing can be a great way to get kids to eat their greens or any other vegetables that they will not eat in isolation. Some of my favorite juice combos are lime with papaya, and Banana with ginger – perhaps not everyones taste in hwne eaten in isolation, but delicious as a mix. Juicing Vs Blending–What’s The Difference And Which Is More Beneficial? When you blend, the whole of the fruit or vegetable including the pulp (fiber) goes into the drink. Body energy and enzymes are expended when digesting the pulp. Consequently, it takes more effort for nutrients to be absorbed and less nutrients are being assimilated. This means healing is slower, compared to juicing. Juicing on the other hand removes the tough fiber, making the resultant drink quicker and easier for the body to absorb. Though juice will obviously lack roughage, which is aids later stages of digestion. Whether you juice of blend depends on what you’re trying to achieve. Here is my full juicing versus blending discussion. Manual, Masticating, Twin Gear, Centrifugal and Hydraulic Press juicers–There Are So Many Types Of Juicer–Which Is Best For Me? Choosing the right juicer for you is an important choice, and depends on your level of juicing experience, how often your will juice, and even your health objectives/ what you want to achieve. My guide to buying your juicer will help you understand exactly which juicing machine is best for you. Drinking fruit juice causes a rapid rise in blood sugar. In a healthy person, fresh fruit juices would not pose a problem as the sugars in fruits are easily assimilated and digested. If you are a generally healthy person eating a good balanced diet, you’ll never get diabetes from drinking juices. Children or people do not become obese from drinking fruit juices. Obesity and diabetes are caused by faulty diets that lead to faulty organs, not because of fruit juices. However, if you are even borderline diabetic or suffering from Candidiasis, or are prone to suffer from thrush, please refrain from consuming fruit juices. But, know that you’re diabetic because of your faulty diet. If you want to reverse your condition, begin to eliminate these harmful foods from your diet, then come back to juicing. 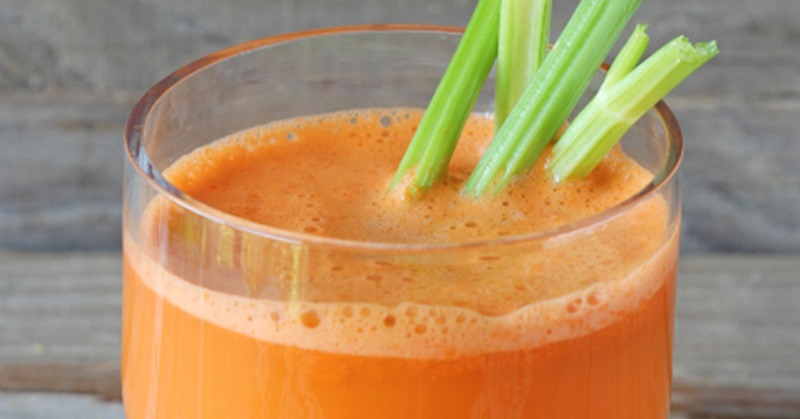 Opt for vegetable juices. If you suspect that you may have a yeast infection in the digestive tract, have low blood sugar level (hypoglycemia), or if you put on weight easily please check with your doctor before you embark on a juicing diet. In these cases, done correctly, vegetable juicing would not be a problem and may improve your blood and health condition. Here are loads of delicious green juice combinations to take inspiration from. Well, I hear you … some of you don’t like to eat your greens but it’s really not that bad. When you start juicing, you are consuming superior quality foods–nutrient-rich fresh fruits and vegetables. Your body will get to work eliminating inferior tissues and toxins; and start to build newer, healthier tissues. For example, when you stop taking your daily stimulant “fix” such as coffee, tea or chocolate; headaches or migraines may occur. This is part of a normal cleansing and regeneration process. Your intelligent body discards toxins like caffeine or theobromine from your body tissues and transports them out of the body via the bloodstream. Your liver and kidneys work overdrive to remove the toxins from the blood. The temporary increased toxin levels in the blood may cause side effects such as headache, joint pain or weakening of a limb. You may also experience slower heart rate which your mind may translate as lethargy, or lower energy levels. When you encounter these symptoms, do not give up. Your body is going through a cleansing and regeneration process, which may take 7-14 days, depending on the toxicity level in your body. Take this period to rest as your body recuperates and prepares for better health ahead. Remember, your success starts here—you are on the way to a healthier and new you. Find out more about the body’s healing and detoxification process. 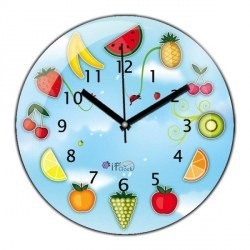 # 3: When Is The Best Time Of Day To Drink Fresh Juices? The best time to drink fresh juices is on an empty stomach—at least half an hour before a meal. This is when your stomach hungers for food and would absorb anything you consume. When you drink a healthy, nutritious juice, your body quickly absorbs all that you consume, wasting nothing. Likewise, when you eat something harmful on an empty stomach, it is also quickly absorbed. So choose wisely. As a general rule, drink fruit juices mostly in the morning as they provide the complex carbohydrates to fuel energy. For the later part of the day, drink juices that are less sweet, like partial or full green juices. You may have been told not to eat a citrus fruit or drink its juice on an empty stomach in the morning, because of its acidity. Not to worry, although citrus fruits taste acidic, they’re really alkaline-forming foods. I suggest you try a little bit and see if it does give you any problem. Once your stomach is conditioned to drinking fresh fruit and vegetable juices, you shouldn’t have problem taking citrus juices. In fact, I feel that the optimum absorption of the vitamin C does wonders to my skin! Step 1: Start with the fruits you enjoy eating. Use common produce which are mild on the taste buds and easier on your stomach—such as carrots, apples, oranges or watermelons. Step 2: After juicing these a few times, you may feel ready to add something new to your menu. I like to use carrots and green apples as the base for most of my juices and add in other items to improve the taste and nutritional value. Now you are ready to add vegetables. Vegetable juices may not be palatable to some people in the beginning and take time to get used to: but their health properties are immense. Here are some helpful tips to make great tasting green juices. On days that I’m feeling lazy, I simply juice one carrot, one apple, one tomato and one orange altogether. This provides a synergy of powerful nutrients that keep me at my peak throughout the day, and tastes delicious. I try to add at least one or two medium-sized beetroot per week in my juicing diet. As beetroot is both a powerful cleanser and a builder of the blood and kidneys, its consumption should be limited to no more than one/day if you’re just starting. Step 3: The greener the vegetables, the more nutritionally valuable they are, and less palatable. Sticking with carrot and green apples base, add any greens you fancy: broccoli, cauliflower, cabbage, celery, cucumber, lettuce, spinach, kale, Swiss chard, etc. The more greens you have, you may want to compensate with extra green apple and lemon to taste. By the way, lemon is a superfood that will not only help detox, but also multiplies your nutrients absorption rate by up to 5 times. Juicing lemon with the peel for its bioflavonoids and essential oils that make it a super immunity booster. More about what you should peel or not to peel. Step 4: You may now start to experiment with all other combinations. Check out these lists of fruit and vegetables and their health benefits. I recommend adding vegetables that are currently in season where you live. If you have a tight budget, here are some tips on how you can keep juicing even on a budget. When we regularly eat a variety of fruit and vegetables—the vitamins, minerals, enzymes and the abundance of health-building elements from the juices work together in synergy. The results of these combinations on your health can be simply amazing! We may not get all the above-mentioned essentials from fruits and vegetables alone, so here are some other healing foods that you may add to your diet to ensure a healthy balance. Protein: If you’re juicing regularly and eating a well-planned vegetarian diet, you should be getting sufficient protein from plants. If not, I do not agree in getting protein from milk. Instead consider eating legumes, nuts and seeds to obtain the best bio-available protein. Check out other sources of protein. Cod liver or fish oil: Green vegetable juices are packed with vitamin K which helps the body assimilate calcium. But, you need fats such as those contained in cod liver oil to assist Vitamin K absorption. Here are some alternative essential fatty acids options for vegetarians. Chlorella and spirulina: Fruit and vegetables contain very little or no vitamin B. Chlorella and spirulina are two types of algae with very high vitamin B content. Add chlorella and/or spirulina in tablet or powder form as a supplement. Nuts and seeds: Many seeds and nuts contain the protein and fat needed to fuel the body. They also contain important amino acids for the brain and immune system. These can be eaten as they are, or ground and added to your juice. # 6: How Safe Are Fruit Juices? A common nagging question for most people who want to start a juicing lifestyle is, “how safe is it to drink fruit juices?” I’ve been there too, so I can understand these concerns. The concerns I am going to mention below are not major. The abundant health benefits of fruits far outweigh these little-understood issues. I’ve often been asked if a person could get diabetes from drinking fruit juices. The short answer is “NO”. No one ever gets diabetes or any other diseases from drinking fruit juices. A dietary consisting of processed and high-fat foods is often the culprit to most chronic diseases. These harmful foods interfere with the absorption of the sugar. The sugar gets covered in fats and trapped in your blood, and so lingers in your system for a longer period of time. The trapped sugar ferments and turns acidic, also causing blood sugar level to be high. So, if you do have diabetes, your body may have trouble processing fruit juices, therefore, sweet juices are to be avoided, until you begin to eliminate those harmful foods. Read my stand about fruit juices: Is Fruit Fructose Evil? In a normally healthy person, the natural sugar in fruits is easily assimilated and digested, unlike table sugar which is toxic to the body. If you generally don’t eat healthy (a diet that is full of processed and fried foods), then there is a high likelihood that your body may not take well to fruit juices. When giving any fruit juices to young children, always dilute them with water. For very young kids, do not give more than half an apple as apples have a natural laxative effect that too much may cause diarrhoea. After drinking fruit juices, rinse your mouth. of your teeth enamel from the fruit acid. Concern 2: But are there pesticides in fruit? Commercially-grown fruit and vegetables are sprayed with pesticides and other chemicals. This is not something that we can avoid, as not all of us are blessed with easy access to organic or pesticide-free produce. If you can afford it, organic is always the best choice. One way I’ve found to remove these toxins from fruits and vegetables is to soak them in clean water with a mixture of a small capful of apple cider vinegar and some sea salt. But this only remove the pesticides from the surface, not within the fibers. Cancer patients must use only organic fruits. Soak your vegetables for about 10 minutes and you will start to notice the water smell. This means the pesticide has come off. Rinse the vegetable a couple more times with clean water, and it’s ready for juicing. Do the same thing for fruits and brush with a soft fruit brush. To further ensure you minimize the pesticides and chemicals in your juice invest in a good gear juicer. See how a slow juicer can eliminate toxic chemicals from your juice. Concern 3: What about the wax on fruit? Apples naturally produce a thin layer of wax that coats and protects the skin. However, before they are packed for distribution, they are sprayed with vegetable based, edible oil to contain their moisture, prevent them from shriveling and weight loss. In most fruits, nutrients are most concentrated just under the skin. I usually leave the skin on when juicing, but peel the skin when eating it. The decision is up to you, but in this case, neither option is harmful. # 7: What About the Pulp? The pulp or the fiber is the left over part from juicing. There are two categories of fiber—soluble and insoluble. Your body needs both. When consumed, these fibers do not get digested but pass through your digestive system unchanged. On its way to being eliminated from your body, it adds bulk to your stool and soften it, preventing constipation. What I’m encouraging here is “juicing for health”. There is a difference between juicing versus blending. It depends on what you’re trying to achieve. This site is, after all, about juicing for health, that is to teach you the means of juicing for health reasons. If you want to improve your health, or are trying to reverse a certain health condition speedily, then juicing is the way to go. In fact, I would even suggest juice fasting/feasting. Blending includes the pulp (fiber) and is like eating. Enzymes and energy are being expended when there is pulp involved. It takes more effort for nutrients to be absorbed and less nutrients are being assimilated. This means healing is slower, compared to juicing. Juicing should be a pleasant experience. Your juice should taste pleasant and not nauseating. I can’t emphasize enough, the importance of listening to your body. After drinking juices, your stomach should be calm the whole day long, not churning and growling and leaving you with a queasy feeling. If this happens, your body is telling you that you have probably consumed something which your stomach is not accustomed to. You can condition your stomach by taking the same thing in smaller amounts in the future, and gradually increasing the amount. How much juice to drink? Drink as much as you want, as much as you can comfortably drink. All the time listening to your body. Your body is smart enough to tell you what it wants, but you just have to train it to want the healthy stuff. When you crave juices, drink away. When your body has got enough, you will know, for it will feel “forced” when you’re drinking it. Be aware of changes to your body when you start eating superior foods. Although this article on healing reactions is for one who is juice fasting, it also applies to you if you’re drinking juices in an increased amount compared to your normal diet. Know what to expect so that you understand what’s going on in your body and not give up on juicing. Once extracted from the fruit, the juices are exposed to light and air which destroy enzymes and cause oxidation. Consequently to get maximum health benefits, it is best to drink your juice immediately after juicing. How long you can keep juices depends on the ingredients and the juicing method used. The high speed spinning of a centrifugal juicer, causes exchange of +ve and -ve ions that rapidly oxidizes your juice. Oxidized juice is in effect spoiled juice. You can spot an oxidized fruit juice as its color is turned and it tends to have a metallic taste. Some produce don’t oxidize so quick but you will still have to drink it up quickly (within minutes) before it oxidizes. See this tip to delay oxidation. On the other hand, if you use a low speed juicer (masticating or gear juicer), the juices are extracted without disrupting the cellular structure of the fruits and vegetables, thus preserving the enzymes and nutrients. Low speed juice extraction delays oxidation as the juice extracted is more stable, rich and concentrated. With this kind of extraction, you can store the juice for up to 24 hours. To store juices for later carefully pour the juice into an air-tight container while still cold. Fill to the brim, leaving as little space as possible for air to prevent oxidation. Light destroys enzymes so if using a glass jar, wrap the glass jar in aluminium foil to block out the light, and store in the refrigerator for no more than 24 hours. Read more on how to store your juices for maximum nutrient retention. One of the more important factors when you choose a juicer, is that it must be easy to assemble, dismantle and clean. If it takes you 10 minutes to juice and another 15 minutes to clean up, you will not enjoy juicing. All of the juicers in my collection take under 2 minutes to wash-up, and I simply love them. Fruit and vegetable residue left behind on your juicer can easily contaminate with mold growth. To prevent this microbial proliferation, clean your juicer as soon as you can after use. To clean, dismantle the juicer parts and rinse it under running tap water. For the strainer, use an old toothbrush to get the remnants out. When you juice citrus fruits, the juicer tends to have a slight oily feeling. Simply clean this with a mild detergent solution. Rinse well. Learn how to care for your gear juicers and get the most out of it. 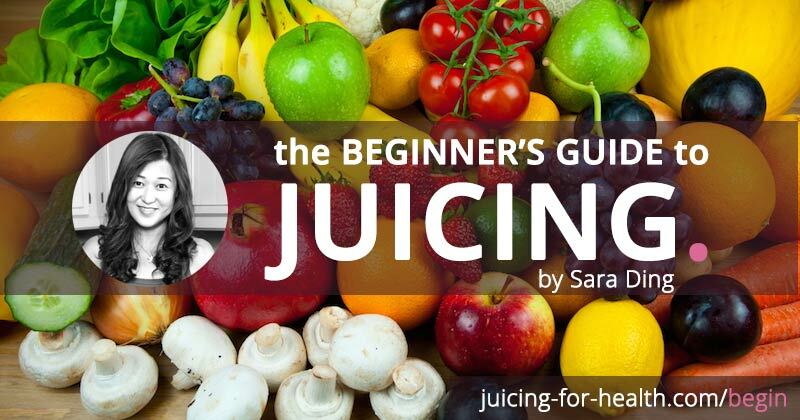 I hope you found my Beginner’s Guide to Juicing useful. There is a lot of info here to take on board in one go. So if you are unsure, keep coming back to check these guidelines. Once you have mastered the basics, you will be ready to discover the wonders of juice fasting and juicing by ailments. Best wishes, and enjoy your journey towards a happier and healthier you!